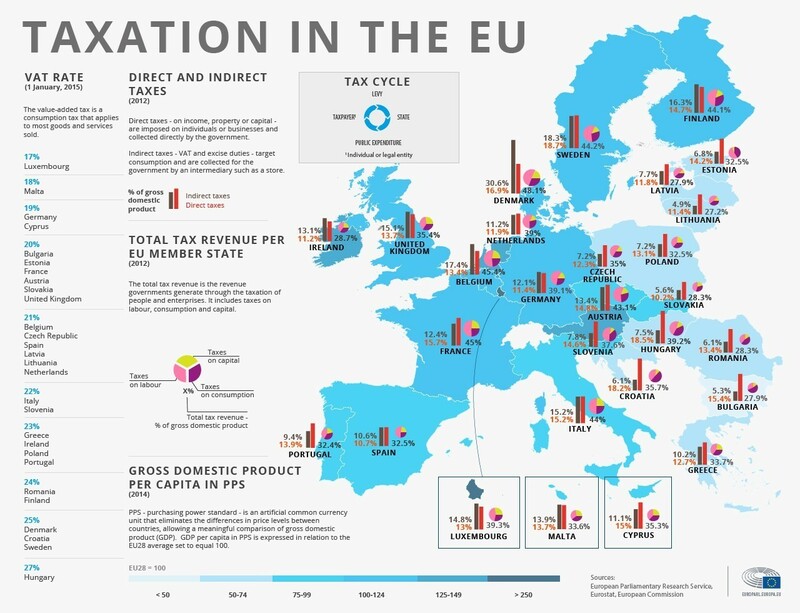 European Parliament infographic below shows the income from direct and indirect taxes for each member states as well as total tax revenue as a percentage of the gross domestic product. 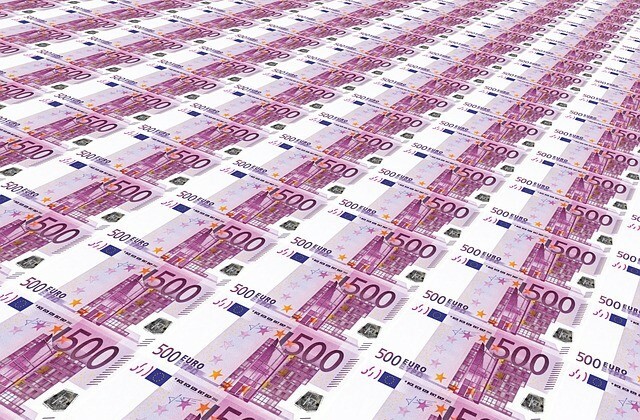 The latter is divided between taxes on capital, consumption and labour. In addition to that the map shows how wealthy countries are.